Welcome to North's Services, Inc., located on the Pittsfield - Lenox line in Lenox, MA. At the same location since 1964, North's Services has been serving the Motorcycle and ATV needs of Berkshire County residents and visitor alike ...for over 50 years. As your local, authorized dealer for Honda and Suzuki Motorcycles and ATV's, North's Services is proud of its ever growing list of satisfied customers in the Northern Berkshire, Southern Berkshire and Central Berkshire areas ...and beyond. In addition to our selection of Motorcycles and ATV's, we feature an excellent inventory of Scooters for you to choose from. Need a used Motorcycle, ATV, Dirt Bike or Scooter? If so, Click Here or stop by and let our friendly and knowledgeable staff assist you with one of our many quality and recently serviced used Bikes or ATV's. Brakes, Tune-Ups, Re-Builds and Accessory Installations available. From Motorcycles to ATV's ...Dirt Bikes to Scooters, plus Award Winning Service, Accessories and Parts makes North's Services the clear choice for riders in the Berkshires ...and just minutes from Downtown Pittsfield, MA. IT'S TIME TO SERVICE YOUR BIKE OR ATV FOR THE SEASON!!! HONDA BONUS BUCKS! FACTORY DEALER REBATES! The features included with most Powerhouse® models are often additional-cost options on other brands. 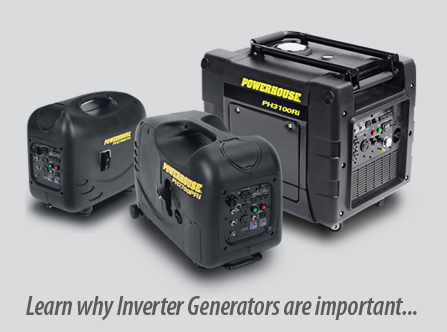 Compare our features and pricing to our competitors’ and see why Powerhouse Generators are the best choice for clean, quiet, portable power. ...Don't Wait ...In STOCK NOW!! !